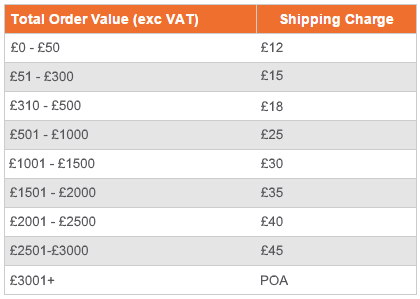 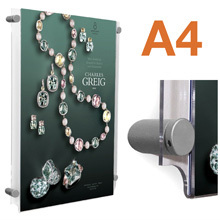 The A4 clear 3mm thick acrylic pocket is available in a portrait and landscape orientation and is supplied with 4x pre-drilled mounting holes. 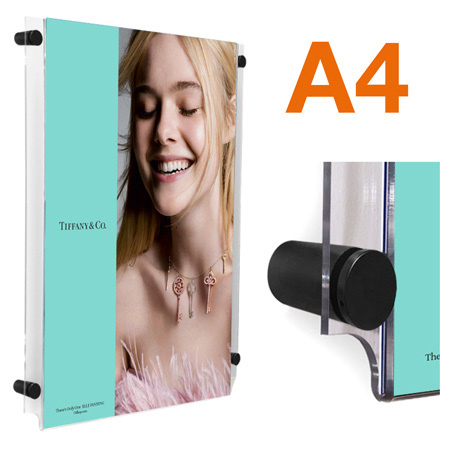 The satin black 16mm diameter metal supports mount the pocket 18mm from the wall creating a stunning three dimensional effect. 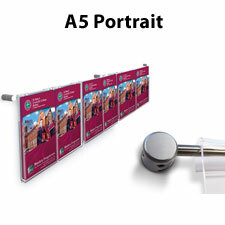 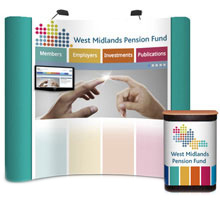 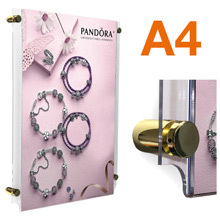 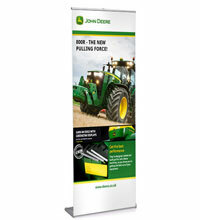 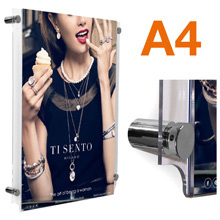 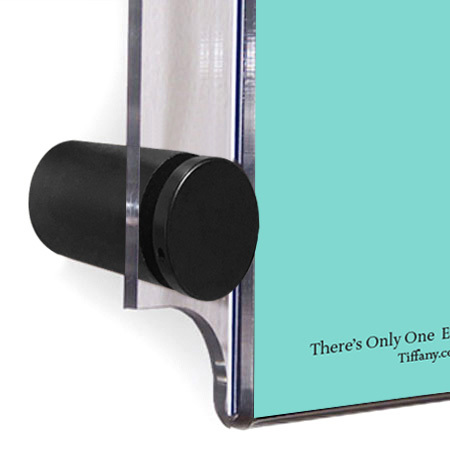 Compliment a reception area in a theatre, museum or retail space with our attractive poster holders.